Located in the city of Malibu, California, just North of Zuma Beach, Cliffside Malibu is an addiction treatment center for persons dealing with substance abuse and co-occurring mental health disorders. The facility is known for its utilization of the Stages of Change Model, a form of intensive one-on-one psychotherapy founded by Dr. James Prochaska. The treatment center offers an evidence-based treatment model in addition to individualized, holistic methods of treatment. For persons dealing with co-occurring disorders, the center offers dual diagnosis support in the form of standard psychiatric and psychological interventions and holistic therapies. 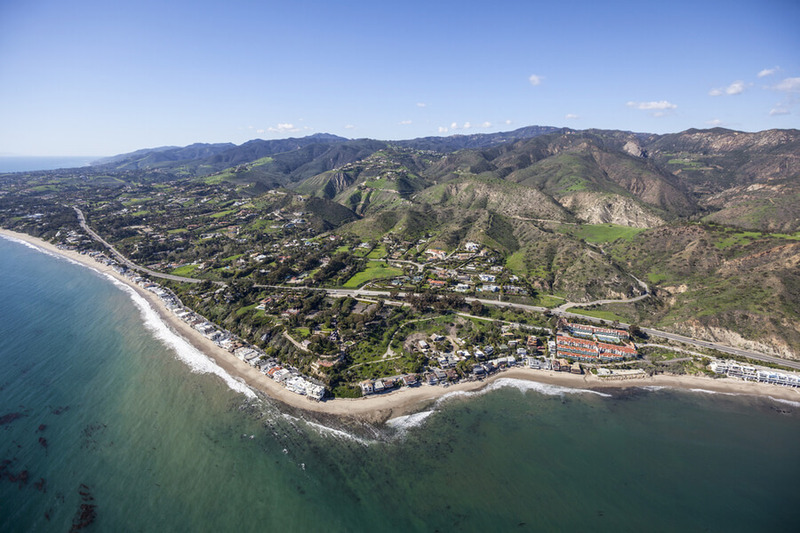 Cliffside Malibu boasts of an experienced set of administrative, medical, residential, and clinical staff consisting of therapists, health advisors, psychotherapists, and counselors. Additionally, the center offers provides cutting-edge treatment methods such as interpersonal neurobiology and Dialectical Behavior Therapy (DBT) if necessary while also offering the opportunity for less intense, holistic activities such as Reiki, meditation, and acupuncture. The facility offers specialized detox, residential, and an Intensive Outpatient Program (IOP). Luxury sober living houses, which the facility began in 2004, are also available for clients. For families interested in addiction education and substance abuse support, the center offers a weekly family program run by doctors, certified addiction specialists, and psychiatrists. Situated on a two-acre, serene luxury estate near Zuma Beach, the center is far away from the noise of the Pacific Coast Highway allowing for residents to engage in treatment without distractions. The facility features beautiful architecture and clients will experience the peace of warm sea breezes and stunning views. The residential and sober living units are co-ed. Residents are housed in semi-private rooms if payment is made with insurance while exclusively private rooms are reserved for clients paying privately. The rooms are equipped with modern amenities such as plasma TVs, Wi-Fi, DVR’s, and cable TV and clients are allowed to bring their own personal electronic devices which they can begin to use after the first three days. Residents are encouraged to enjoy the facility’s rose garden, heated pool, fully-equipped gym, and meditation garden. Laundry and hotel-style linen services are available on-site. Meals are served thrice daily and prepared by a professional chef and his full-time kitchen staff. The food is served in a panoramic dining room, buffet-style and the center accommodates all dietary restrictions. The facility’s detox program is designed to assist clients in dealing with the physical pain and discomfort of withdrawal symptoms. The program offers personalized cutting-edge medical therapies and detoxification from all kinds of substances including cocaine, alcohol, etc. The residential rehab program offers clients the chance to collaborate with trained therapists and counselors in order to devise an effective treatment plan. The services are individualized and provide the services of an equine therapist and an acupuncturist along with various forms of therapy. The Intensive Outpatient Program (IOP) offers daily treatment for persons dealing with substance abuse and co-occurring psychological disorders. Clients do not sleep at the facility and are usually involved in group counseling activities and intensive psychotherapy sessions. Cliffside Malibu costs approximately $58,000 – $88,000 for a 30-day treatment program at the facility but this price is subject to change as it is greatly dependent on the level of care, length of stay, and more. The treatment center is in-network with most major insurance companies including Medicare, Medicaid, and Medi-Cal. Clients are advised to contact the facility for more information on benefits, coverage, payment options, and more. Private pay options and payment plans are available as well. Card payments are accepted as well. The facility is accredited by the JCAHO (Joint Commission on Accreditation of Healthcare Organizations). The treatment center only accepts individuals that are 18 years and older and upon admission, a treatment plan specific to the needs of the client is created. The facility offers recreational and holistic therapies to help round out the treatment program. Some of them include massage, music therapy, yoga, art therapy, equine therapy, acupuncture, tai chi, sweat lodges, and more. The scenery, views, and the nature-like environment is one of the great assets that attract clients to the facility. In entirety, Cliffside is known to protect the confidentiality and privacy of patients making it a great option for individuals celebrity or not, seeking treatment at a center that provides different levels of care while protecting their privacy. Richard holds a Bachelor’s degree in Political Science from The University of California and has been the Chief Executive Officer of Cliffside Malibu for 15 years since he founded it in May 2003. He is passionate about helping individuals who have failed the 12-step program and are still seeking and willing to live a life of sobriety. Steve holds a Bachelor’s degree from Point Loma Nazarene University majoring in Psychology and a Doctor’s of Psychology degree from Azusa Pacific University majoring in Clinical Psychology. Prior to holding the position at the facility, he served in different capacities at different organizations including Paradigm Malibu Treatment Center where he served as Deputy Director for 6 months and Program Director for 11 months. Tracy holds a Bachelor’s degree from the University of California in Art History and a Master’s degree from Philips Graduate Institute in Psychology. Prior to holding the position of program therapist at the facility, she served in different capacities at different organizations including Ventura Recovery Center where she served as Clinical Supervisor/Therapist, and many more.